While I’ve been obsessively traveling the Balkans for years, I can distinctly remember a day before I could list the Balkan countries off the top of my head. 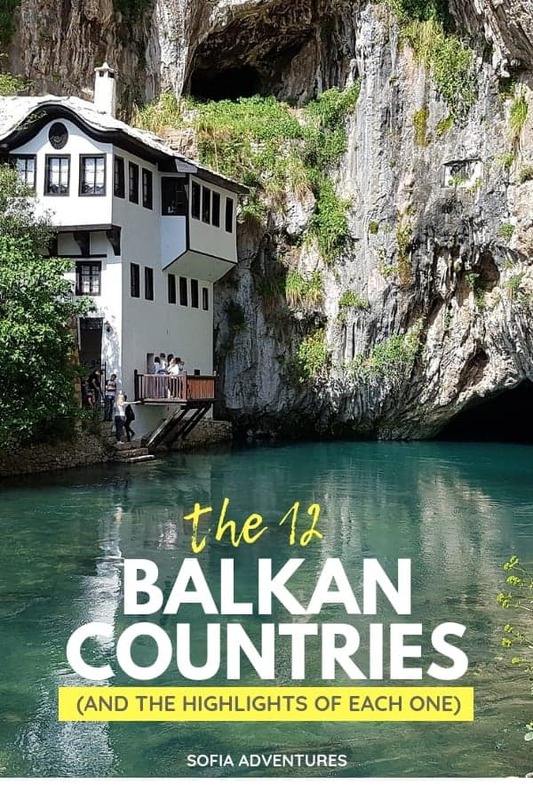 Now that I’ve explored each one (though some more in-depth than others), here’s a list of the Balkan countries, along with my favorite reason to visit each! Below are the twelve countries in the Balkans. Keep in mind that some countries do not recognize Kosovo as an independent country. We list it separately on our website, but this is to encourage people to travel to Kosovo and is not a political stance. Note also that technically Trieste in Italy and a sliver of Moldova and Ukraine also lie on the Balkan peninsula, but there’s no common use of the term “Balkan” that includes Italy, Moldova, and Ukraine. Finally, parts of Romania, Slovenia, and Turkey are not on the Balkan peninsula, but we encourage travel to the entire country and not just the portion that is part of the peninsula. 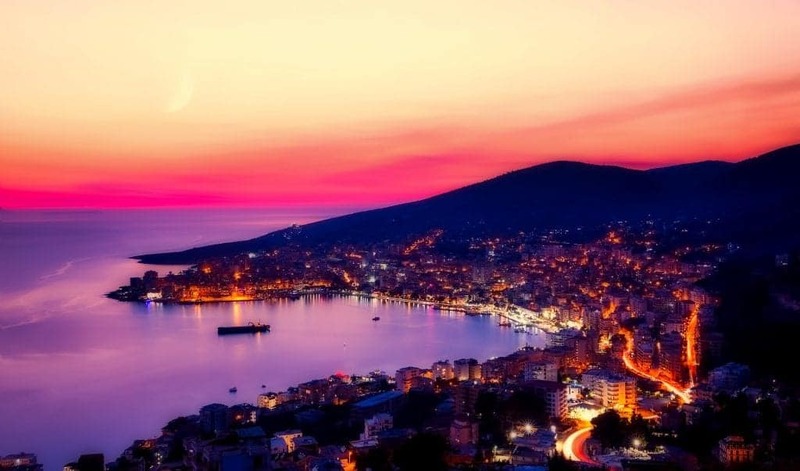 Does it get more beautiful than the Albanian Riviera? Albania is one of the least traveled countries in Europe, which is a shame considering its generous visa policy means an American can stay up to a year here on just a tourist visa! With beaches that rival Greece and Croatia, museum cities like Berat, and the still-finding-itself capital of Tirana, Albania deserves a spot on your Balkan itinerary. Best Reason to Visit Albania: the Albanian Riviera! The beauty of a Greek beach at half the price and minus the other tourists? Um, yes, please! Ksamil is across from the Greek island of Corfu, meaning a dip in the water here is literally the same beaches you can visit in Corfu, but at Albanian prices. You can even take a day trip to Corfu on the ferry, so you can compare the two for yourself! If you base yourself on the southern coast, you can also visit the ancient Roman ruins at Butrint. These twin UNESCO cities are some of the best-preserved examples of traditional Ottoman architecture in any Balkan city. Wandering through them, you can see flashes of the past and what life would have been like here when Albania was part of the Ottoman empire, complete with Ottoman mosques and traditional houses. While in Berat, don’t skip a visit up to the castle to catch a glimpse of the amazing views. Just make sure to pack comfy shoes, since traditional architecture also means traditional cobblestone streets. This iconic Mostar Bridge isn’t all that Bosnia has to offer. Bosnia and Herzegovina is home to iconic bridges, important historic sites, and a seriously tiny strip of coastline. While many people know to pop into Sarajevo or Mostar for a day or two, this is a country with a ton of small towns to explore. Now that cheap flights have opened up to Tuzla, it’s the perfect time to take exploration here a bit more off-the-path. Best Reason to Visit Bosnia and Herzegovina: Mostar! 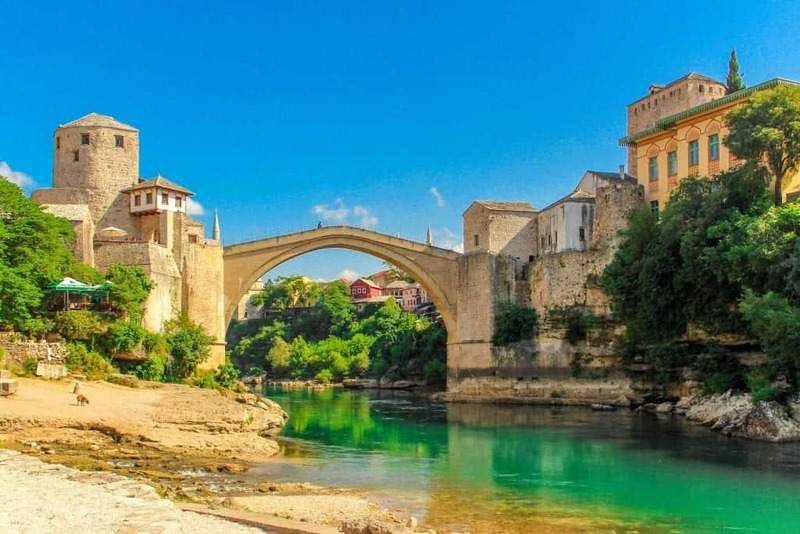 Okay, while we highly encourage you to explore more of Bosnia than just Mostar, it’s hard to visit the country without seeing the bridge in person. It’s one of those places in Europe that simply must be seen (and photographed) to be believed. It is one of the most Instagrammable cities in the Balkans. However, while you’re in the city, dig a little deeper than just the bridge. Learn about the history of the sniper tower and what the war in the nineties was really like here. Did you know there’s a second, semi-autonomous constitutional entity within Bosnia and Herzegovina? The country is divided into the Federation of Bosnia and Herzegovina (BiH) and the Republic of Srpska. While most tourists don’t visit Srpska, within this region are multiple important sites, like the stunning Ottoman bridge in Visegrad and the city of Banja Luka, which serves as Srpska’s de facto capital. You don’t need to show your passport between the two regions, but you will notice a cultural difference since the population here is mostly Bosnian Serbs. 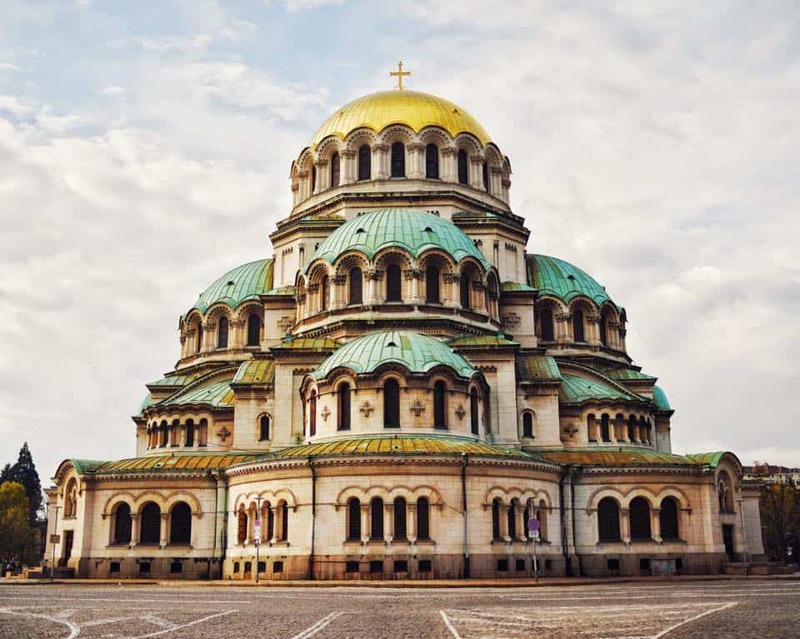 Alexander Nevsky Cathedral has a special place in my heart, but it’s not the only reason to come to Sofia! My adopted home and the inspiration for this website, Bulgaria is my favorite country in the world. While I’ve visited sixty-seven countries and would gladly travel back to most of them (but NOT Andorra), Bulgaria is where I leave my heart (and my dog) whenever I have to leave. This is a country of amazing lakes (did you know we have a pink lake? ), gorgeous mountains, serene monasteries, and cool cities. Best Reason to Visit Bulgaria: Sofia! How could a website that’s literally named after the city recommend anywhere else first? We have fallen in love with Sofia, and we think you will, too. From Vitosha Boulevard to Mount Vitosha, there’s an insane number of things to do, seriously delicious places to eat, and trendy bars to hang out in at night. And while the architecture here is stunning and the prices are amazing, it’s the overall chill vibe of the city that makes is such a marvelous place to visit. While you’re here, make sure to take a day trip out to Rila Monastery to see the most important monastery in the country. Honestly, this one is hard because I love Nessebar, Plovdiv, and Veliko Tarnovo equally. I’m giving Plovdiv the edge here, because it’s been named as the European Capital of Culture for 2019, making now an amazing time to visit this museum city. While in Plovdiv, make sure to set aside time to explore Bulgaria’s nearby vineyards. Just hire a driver so you can sample as much of the goods as you desire. While the crowds may head to Dubrovnik, we think that there’s a ton of undiscovered Croatia you’ll be thrilled to explore. Croatia may be the most fashionable Balkan nation to visit right now. Between Game of Thrones tourism and the popularity of Croatia’s islands, this is a super trendy place. Anyone who reads travel magazines or follows travel groups on Facebook has been shown luscious pictures and videos highlighting Croatia’s charms. But it’s a large country, and you’ll need a few weeks if you want to dig in and see everything! Best Reason to Visit Croatia: The Coast! 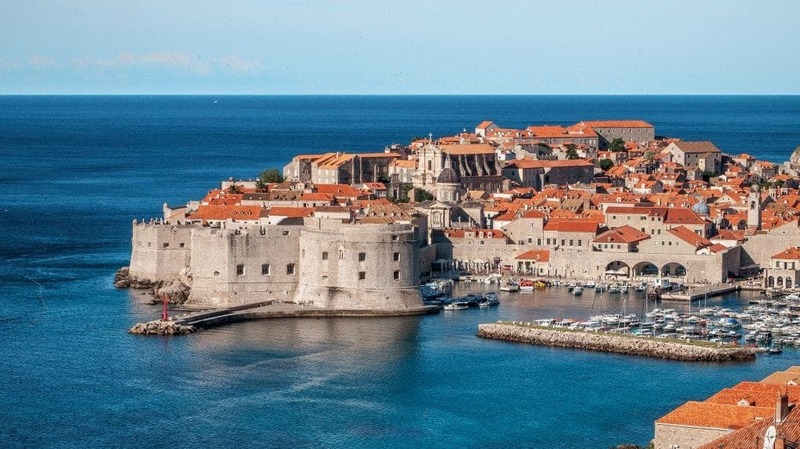 Whether you pick Dubrovnik, Split, or even up-and-coming Rijeka, Croatia’s long coastline offers so many opportunities to enjoy the architecture and cuisine of the seaside. With multiple UNESCO World Heritage Sites up and down the Croatian coast, you’ll also find a ton of history and culture to go along with your fried calamari and white wine. Cercei Lannister not included. Far from the sea, Zagreb is Croatia’s capital and largest city Dotted with famous sites like the tiled-roofed St. Mark’s Church, Jelacic Square, and the forever-being-renovated Zagreb Cathedral, this is a city with a ton to see packed into a relatively small area, making it charmingly walkable. Enjoy the old city, but give yourself time to explore the nearby mountain and other beautiful nature. Zagreb is a good base to take a day trip to Plitvice Lake, which is a two-hour drive to Zagreb’s southwest. Between the history of mainland Greece and the beauty of the islands, you’ll never run out of new places to explore here. I’ve spent months exploring Greece and I’ve barely (and I mean barely) scratched the surface. Mainland Greece has amazing historic sites, like the architectural marvels of Meteora and the gorgeous views of the Oracle at Delphi. The Greek islands offer history as well, along with some of the most beautiful beaches in the world. Plus, the entire country is packed with delicious traditional cuisine. So whether you choose to explore the mainland or the islands, the history or the nature, a trip to Greece is always a good idea. 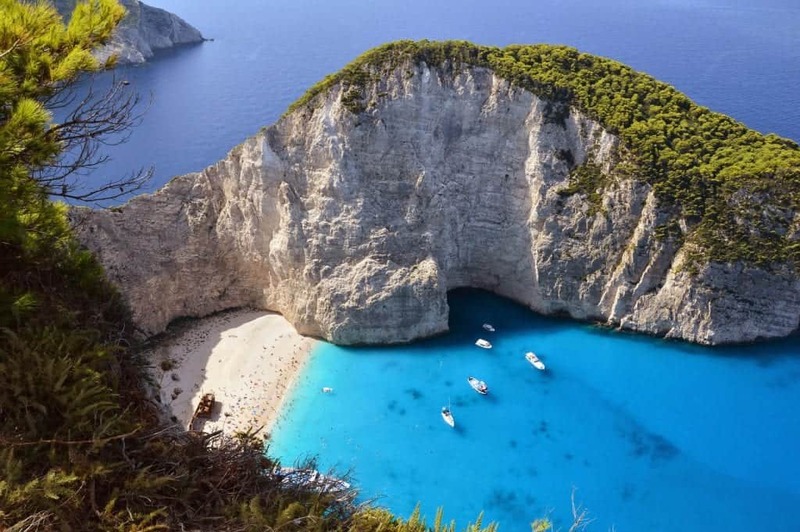 Best Reason to Visit Greece: Greek Island Hopping! Why pick just one place when the country lends itself so well to exploring several places by ferry. I’ve relaxed on the beaches of Crete, seen the historic Old Town in Rhodes, and enjoyed the epic views cruising between Hydra and Poros. You can choose a multi-day trip with an organized tour company, or put together your own itinerary utilizing the inexpensive flights and ferry options. Too many people head to Greece just for the islands, but I’m obsessed with the city. There’s so much to do in Athens, everything from visiting the Parthenon to sampling drinks at the various rooftop bars to get the best shot of the Acropolis from above. My favorite neighborhoods to chill in are Exarchia, the Plaka, and Omonia. It’s a beautiful city, with tons of great Instagram inspiration. Plus, Athens offers the best of both worlds! If you want to enjoy the capital and still get a taste of the islands, you can do what I did on my first trip to Greece and take a day cruise to the islands closest to Athens: Hydra, Poros, and Aegina. Between the charm of Prizren and the cool vibes in Pristina, you’ll find Kosovo completely enticing. Whether you view Kosovo as Europe’s newest country, or as part of the country of Serbia, what matters most is you come to visit Kosovo and see how great Kosovo is for yourself. From the picturesque streets of Prizren to one of the “world’s ugliest buildings” in Pristina, there’s enough to do in Kosovo to fill a week or two. Leave time for Kosovo’s mountains, animal sanctuaries, and caves (we do love a good cave). Best Reason to Visit Kosovo: Pristina! Pristina may be the capital of cool, but Prizren is where the photographer in you wants to set up shop. 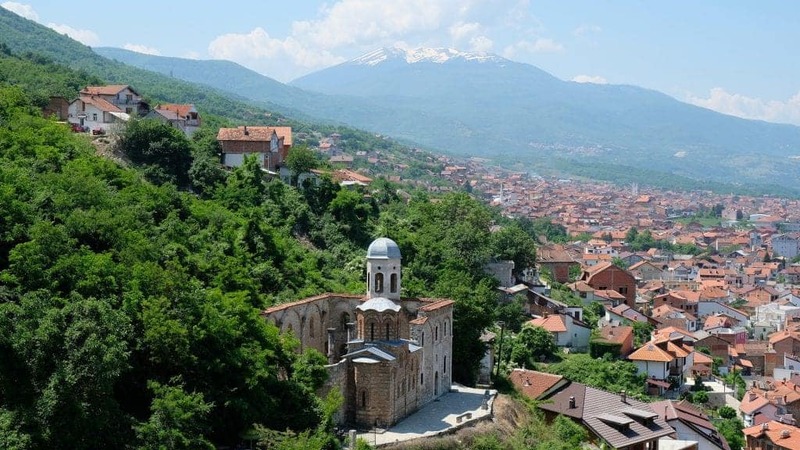 After enjoying the views from the fortress, make sure to save time to see the 14th-century church Our Lady of Ljeviš, which is Prizren’s most important site, along with Sinan Pasha Mosque and the Ottoman bridge. 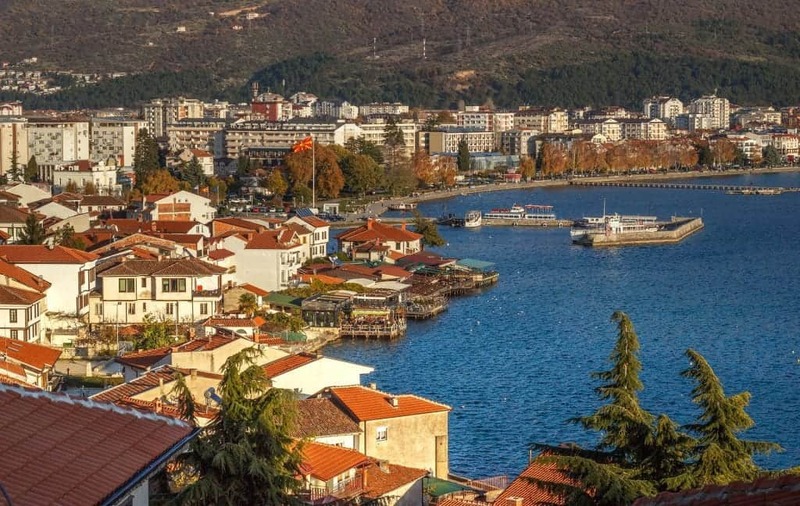 I dare you not to fall in love with the beautiful lakeside town of Ohrid. Tiny Macedonia doesn’t get too many tourists (much less than one million per year), and fewer than fifteen thousand American, Canadians, or Brits visit annually. However, those that don’t come are missing out, as Macedonia is home to one of the most beautiful towns I’ve ever been: the lakeside town of Ohrid. While most tourists will at least pass through the capital of Skopje, you’ll need more than a day or two to appreciate the highlights of Macedonia. Best Reason to Visit Macedonia: Lake Ohrid! The lake is a UNESCO World Heritage Site, and the town of Ohrid is both stunning and insanely affordable. With ancient churches perched on cliffs overlooking the lake, cafes lining the shore, and the option to take a sunset boat ride any night of the week, this place is high on my list for favorite spots to unwind. In addition, the beaches are great for swimming (just bring water shoes to protect your feet from the rocks). One of the easiest and most common day trips from Skopje, Matka Canyon is a gorgeous natural wonder. You can visit St. Andrew’s Monastery located on the water’s edge, explore one of the area’s many caves, or simply go for a breathtaking hike. Adventure lovers will appreciate the rock climbing, while photographers will find enough nature and ancient architecture to keep them busy all day (or longer). You may not be able to afford to pay thousands for a stay of Sveti Stefan, but Montenegro has many beautiful places to enjoy some summer fun. Too many people pop into Montenegro as a day trip from Dubrovnik and don’t have enough time to explore. But Montenegro has multiple spots for tourists to fall in love with the country. Montenegro is a haven for nature lovers, with even its best cities showing off the region’s fantastic natural features. 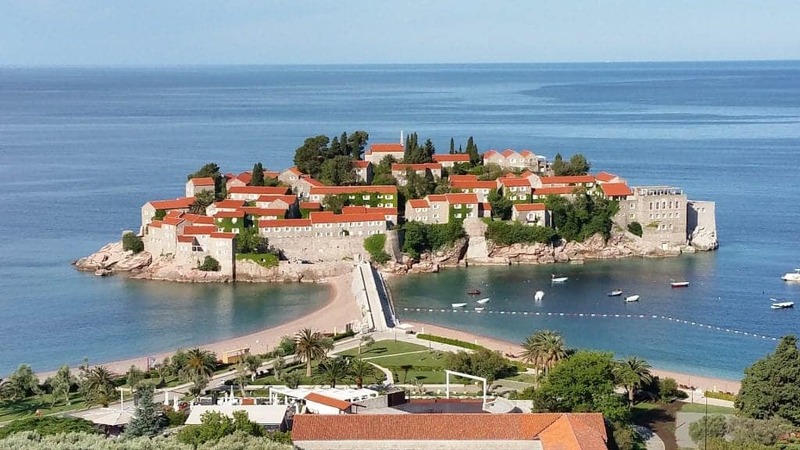 While the famous resort island of Sveti Stefan is a bit too pricey for most (when I checked last, the least expensive room was almost 900 Euros per night! ), Kotor and Budva offer similarly beautiful locations without the resort price tag. The charming town lies on the Bay of Kotor, offering the same bay views without the hassle of being behind the walls in the old city of Kotor itself. Anywhere you stay on the bay allows for amazing views, but I personally like to visit Kotor during the day and return to somewhere quieter at night. However, as soon as you’ve made your way to the Bay of Kotor, you really can’t go wrong! I’ve also stayed in Risan, and the views there are stunning but slightly different than those in Perast and Kotor. This UNESCO World Heritage Site is a little harder to get to, but its worth it. The stunning Tara Canyon and bridge, the Black Lake (actually a collection of eighteen glacial lakes), and Dobrilovina Monastery all make for amazing sites to appreciate, explore, and, of course, photograph. Thrill seekers can go whitewater rafting in Tara Canyon, while those who want to stay firmly on the ground can enjoy the views from above. No trip to Romania is complete without exploring one of the many gorgeous Romanian castles found throughout the country. 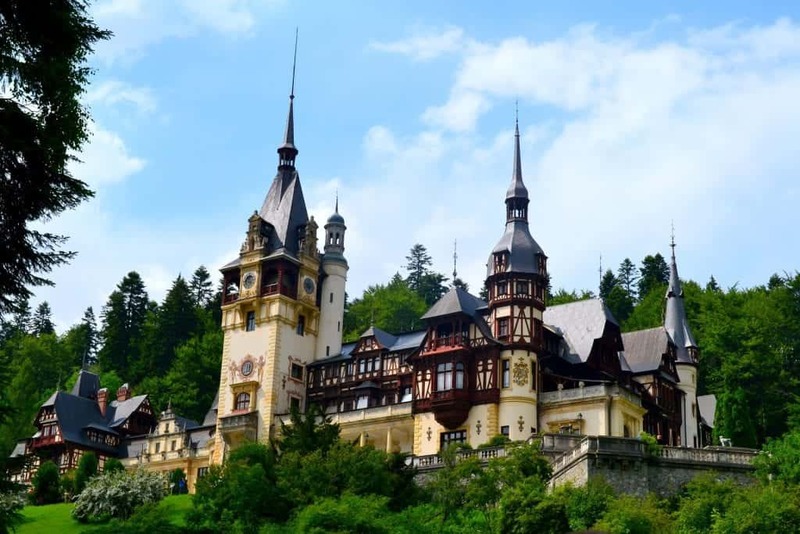 The home of some of history’s most famous brutes Vlad the Impaler and Nicolae Ceaușescu, Romania has worked hard in the past decade to showcase the beauty of the country and attract more than dark tourism. While I’ve spent Halloween in Transylvania and enjoyed the delightfully campy way that the region embraces its Dracula associations, Romania is so much more than vampires and villains. From the country’s beautiful castles to its stunning river gorges to its charming painted houses, there’s enough to see in Romania to stay for months without getting bored. Best Reason to Visit Romania: Sibiu! This town has been transformed in the past twenty years. The European Capital of Culture in 2008, the city spent years restoring the old town square and other important historic architecture to return the town to its formerly charming self. And their work paid off! In addition, the city is very proud of the restaurants and their new focus on being a gastronomy tourism hot spot, making SIbiu one of the most delicious spots in Romania! Sibiu is high on my list to visit again once I return to Romania, and this is in no small part to the quality of the Balkan cuisine here. While Transylvania has the lion’s share of Romanian castles and Bucharest attracts those looking for fun nightlife, I think Bucovina is the country’s best-hidden gem. Between eating cheesy polenta cooked over the fire (the only way anyone should eat polenta, really), taking an old steam train through the mountains, exploring the painted houses of Ciocanesti, and visiting the UNESCO-protected monasteries, I found Bucovina to be both delightful and charming. The best part? This region badly needs tourism, so parting with your hard-earned dough here will do a lot of good for the local community! Belgrade just might be the coolest city in the Balkans…and that’s saying a lot! I rarely see Serbia on a list of the best countries to visit in Europe, yet I’ve never been to Serbia without having a thoroughly amazing time! In fact, even though I just got back from my most recent trip to Serbia last week, I’m already plotting how to get back as quickly as I can! There’s so much to do here since Belgrade is a phenomenal city and the roads are so good in Serbia that you can easily get out and explore the countryside. Train enthusiasts can ride the Sargan Eight, one of the most picturesque train rides in Europe, while wine lovers can sip away to their hearts’ content in Fruska Gora. Whatever kind of tourism you prefer, Serbia has something to tempt you. Best Reason to Visit Serbia: Subotica! 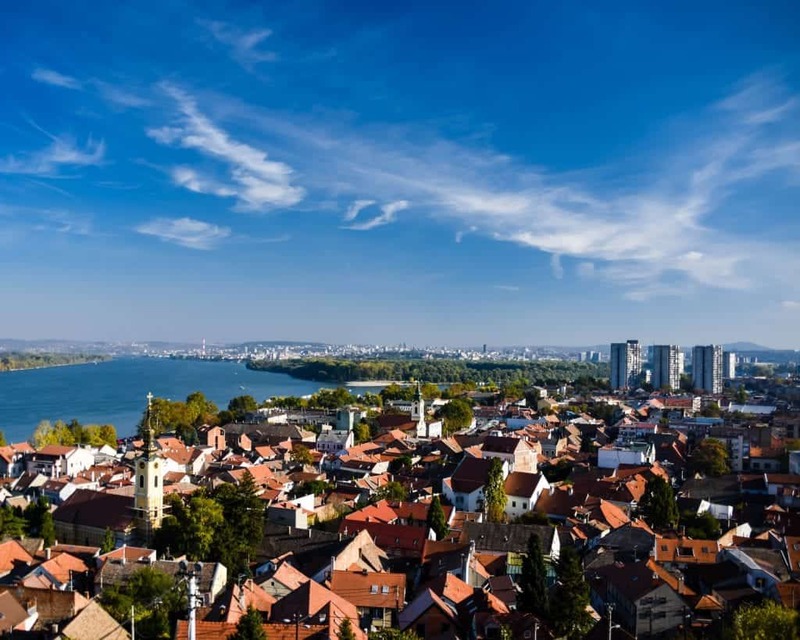 This town in far northern Serbia is just ten kilometers away from the Hungarian border, and its Hungarian influences are apparent all over the town in the form of near-pristine art nouveau architecture. An easy day trip from Novi Sad or Belgrade, Subotica is the jewel of Vojvodina, yet I was shocked that I saw no other tourists while visiting on a cool autumn day in October. This despite the fact that the tourism board is friendly and provides amazingly detailed information to help you make the most of your time. If you choose to rent a car in Serbia and drive, take an hour to visit the delightful Lake Palic before you leave. Anyone who knows me or follows me on social media can attest to the fact that whenever I’m in Belgrade, I am completely and utterly happy. The city is hip without being overwhelming. It’s full of an amazing mix of old and new architecture, street art, museums, and green markets. In fact, even though I’ve visited the city for almost a month in total, I’ve literally never run out of things to do in Belgrade. Plus, they may have the best tacos in the Balkans, which this American chick needs desperately after backpacking the Balkans for weeks one end. Read: 13 Towns and Cities in Serbia that You Absolutely Can’t Miss! Lake Bled might be the country’s most iconic spot, but Slovenia is full of charming towns for you to explore. 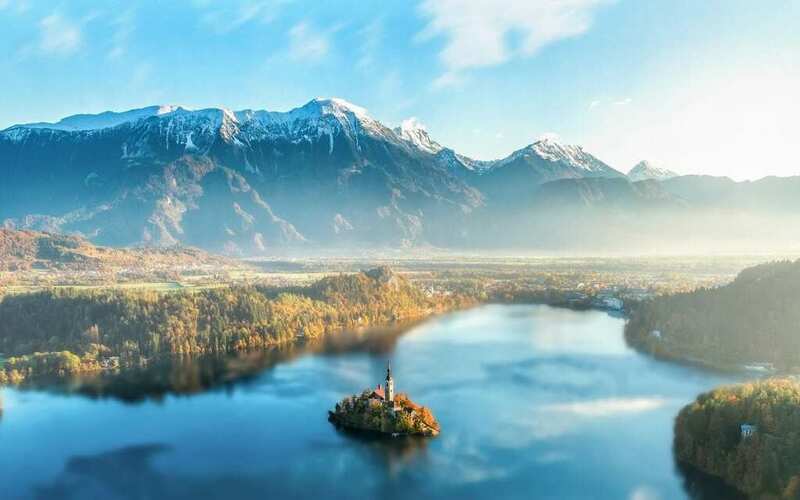 Slovenia is part Slavic, part Italian, and part Germanic, making it a delightful blend of cultures on the borderlands of the Balkan peninsula. While Lake Bled is the country’s most famous Instagram spot, the country has so much to offer visitors, and its compact size and great roads make this an ideal country to enjoy a road trip in and explore more. The key to the perfect Slovenian vacation: enjoying several different parts of the country with ease. Best Reason to Visit Slovenia: Piran! This formerly Venetian city has the charm of a quiet Italian seaside town, without the throngs of tourists who flock to Italy. Sharing a sliver of the Adriatic sea, the number of beach travelers here is dwarfed by neighboring Italy and Croatia, so you can enjoy more of the coast with less of the hassle of traditional tourist traps. You can spend a few days wandering the town, climbing up the clock tower, and enjoying fresh seafood right on the water’s edge. Accessible easily from Ljubljana or from Trieste in Italy, it’s also an affordable flight from most of Europe. Move over Paris, because Ljubljana might be the most romantic city in Europe. Standing on the Triple Bridge while looking up at the gorgeous frosting colored pink Baroque church in the center of town, it’s hard not to fall instantly in love with the city. It is a great base to use to explore the rest of the country, but give yourself a few days to lazily wander the city, enjoying the atmosphere of this dreamy capital. Sitting on the southeastern tip of Europe, Istanbul is the largest city in the Balkans and its influence can be felt all the way to Vienna. True, only part of Turkey lies on the Balkan peninsula, but the entire country has a ton to offer travelers. From Istanbul to Cappadocia, from Ankara to Mardin, Turkey is a large country with ample travel opportunities to get off the beaten path and explore. Best Reason to Visit Turkey: Istanbul! Yes, while there’s so much to do in Turkey, we recommend Istanbul as the country’s top destination and can’t-miss travel spot. 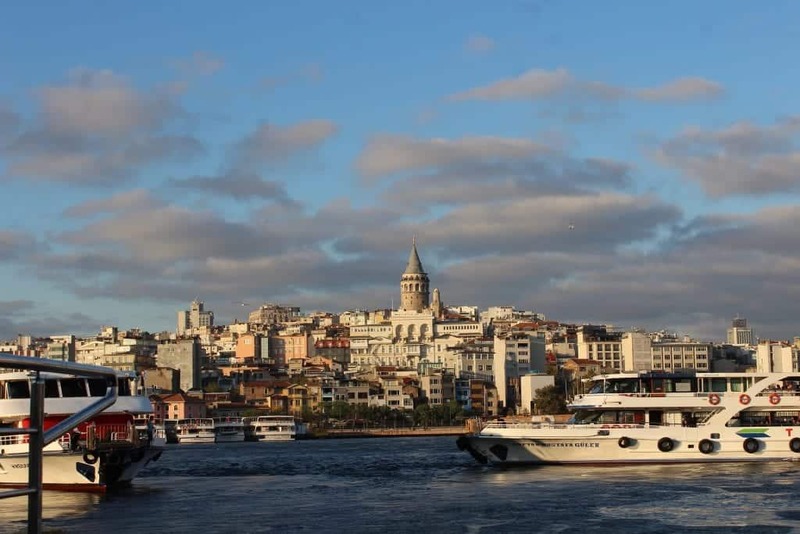 As the capital of the Byzantine and Ottoman Empires, it’s easier to understand the rest of the peninsula if you get a grip on Istanbul’s (formerly Constantinople’s) legacy and traditions. While here, make sure to relax in a Turkish bath, explore the sights in the historic district of Sultanahmet, and enjoy the amazing cuisine. We doubt you’ll tire of the Bosphorus views no matter how long you stay! Anyone with an Instagram account is familiar with the beautiful hot air balloon rides tourists take over the amazing rock landscapes here. While you don’t need to be an Instagram girl to enjoy Cappadocia, don’t leave your camera at home because you’ll want to grab photos of the fairy tale landscapes here. For a special treat, stay in a cave hotel. Finally, make sure you always travel to the Balkans with a valid travel insurance policy. The region is very safe for travelers, but accidents or theft can easily ruin your trip if you don’t have the travel insurance coverage to recover the losses. Recently my aunt fell on a train in France and needed surgery, but luckily her travel insurance covered the costs in full. Thank goodness! Which Balkan countries are on your travel bucket list? What reasons did we forget to visit each country? Leave your best Balkan country travel tips below! Wow, this is an excellent introduction to the Balkan countries! I realise how little I knew of them, and your wonderful summation has definitely enticed me to explore them. Thank you! Thank you! Hope you visit soon! I’m half Serbian, but none of my relatives here in the U.S. have ever vitied Serbia. Thanks for letting me know how cool it is to travel there! Wow. Meg this is an impressive article on all these countries. I would love to tour them all. Thank you! When are you coming to visit? Have fun when you visit them! Let us know if you need any other information. Hi Stephanie. We are have been to Croatia, Greece, Romania, Slovenia, Slovakia and Turkey. Mind blowing. We tried to find guides for the other Balkans, but there aren’t any. I took lots of notes from your blogs, thank you. Is the train a great option for visiting each of the other countries? One can’t rent a car in one and then drive to another, not legally, anyway. Are there safety issues with train travel or renting cars? What would you do? Some great choices there. I have to admit that I have not taken a shine to Sofia, but really loved visiting Veliko Tărnovo. I must add Sibiu to my list to visit. I have actually just published a light-hearted book about my travels in the Balkans, much of it by train. I really like what I saw of your site. Wow, Balkan train travel can really be hit or miss. I bet that was spectacular! Yes to Sibiu. An absolutely charming little city with fantastic food.